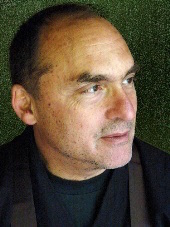 Edward Espe Brown is a well-known Soto Zen Buddhist teacher, author, and chef. He was ordained in 1971 by Shunryu Suzuki Roshi, who gave him the Dharma name Jusan Kainei , “Longevity Mountain, Peaceful Sea.” He leads sitting groups and meditation retreats in Northern California and internationally. His latest book is The Most Important Point: Zen Teachings, published by Sounds True. Edward will also lead a one-day retreat for SBMG on Saturday, April 20. He will be reading and signing his book on Friday, April 19th at Time Tested Books, 1114 21st Street (between L & K streets).